Topic: What bins are good for the Container? Re: What bins are good for the Container? Seriously, don't underestimate the power of a sandwich board or a big dry-erase board in front of your camp for getting the word out on events. Lots of people never even really look at the booklet, and just let serendipity guide them around the city. Topic: How much space should I buy on the NYC container? Re: How much space should I buy on the NYC container? Digital Apex appears to be at 10 & B. Topic: Have 10x14 Kodiak tent, do I need a shade over it? Re: Canopy for Springbar tent? Suggestions? Also, camps can and do move from year to year, sometimes quite drastically. The large-scale sound camps will be on 2 and 10, Center Camp will be Center Camp, but nothing else placement-wise is guaranteed from year to year. Not only does this re-purpose perhaps the dumbest "80's wacky chase hijinks" scene i've ever seen... that damn chorus is going to be stuck in my head while riding around the playa. Yeah, unless you've promised to help your camp tear down and pack up Sunday and are somehow instrumental or vital to that process, or for some reason you *absolutely* *must* see the Temple burn, don't bother coming back for Sunday. "Because he's the hero the playa deserves, just not the one it needs right now"
Topic: Burning man for me is destiny! Re: Burning man for me is destiny! 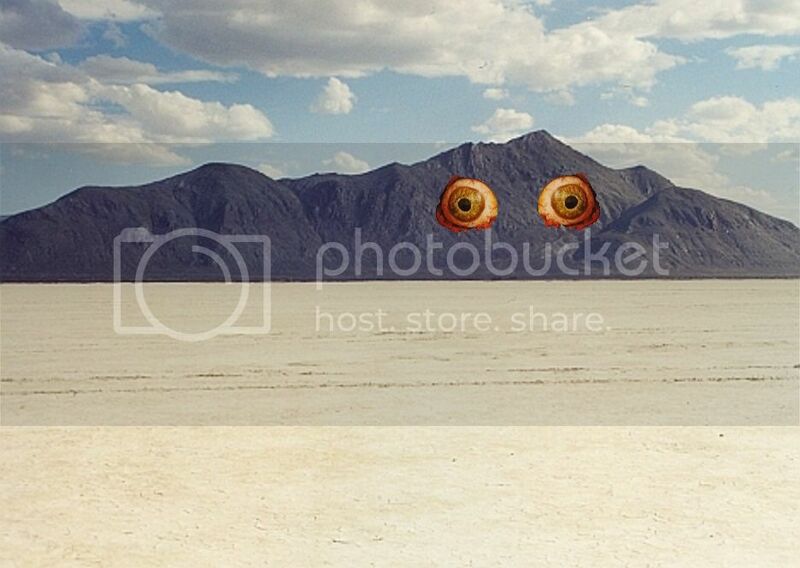 I am now imagining a deep playa art project with two hot-air-balloon sized floating eyes positioned to line up with the hills. GreyCoyote wrote: Better to chase a harmless cover a few dozen yards than deal with a wandering dome.